Jennifer has over thirteen years experience as a consulting economist. She has advised clients on a wide range of competition matters including mergers, the authorisation of agreements, the assessment of claims of misuse of market power and the estimation of damages arising from cartel conduct. This advice has been provided for clients across a range of sectors including aviation, gas, resources, packaging and finance and has involved presentation of economic analysis to competition agencies including the Australian Competition and Consumer Commission (ACCC) and the Competition Commission of Singapore (CCS). For example, in 2015 Jennifer assisted Qantas in gaining authorisation from the ACCC of its proposed alliance with China Eastern Airlines and in 2013 assisted BlueScope with its successful acquisition of Fielders. Jennifer also has extensive experience in the assessment of liability and damage in the context of securities litigation involving allegations of misleading and deceptive conduct or breaches of a company’s continuous disclosure obligations. In particular, in 2008 Jennifer assisted Fortescue Metals Group (FMG) in its successful defence of an action brought by the Australian Securities and Investment Commission (ASIC) in relation to various announcements it made concerning contracts entered into for the design and construction of rail infrastructure in the Pilbara. Since that time Jennifer has provided economic analysis in the context of numerous shareholder class actions, including an action brought against property group GPT, and has assisted clients in the defence of claims of insider trading. Jennifer holds a Masters of Commerce from the University of New South Wales and a Bachelor of Commerce with first class honours, majoring in economics and finance, from the University of Wollongong. 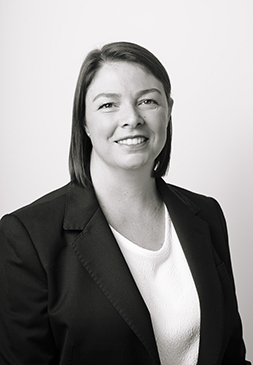 Jennifer is a member of the Competition and Consumer Committee of the Law Council of Australia.